At Bauma 2019, for the first time ever, Liebherr is presenting its new LRS log handler to the public. 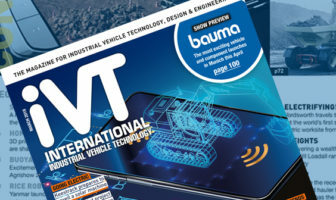 The robust, reliable and powerful timber-handling machine, located at the show’s Bauma Boulevard next to Gate 15, is capable of quickly transporting logs in industrial plant and timber handling applications. The LRS LH has a grapple capacity of 8m² (86 ft²) and a stacking height and an outreach of over 8m (26ft) each. 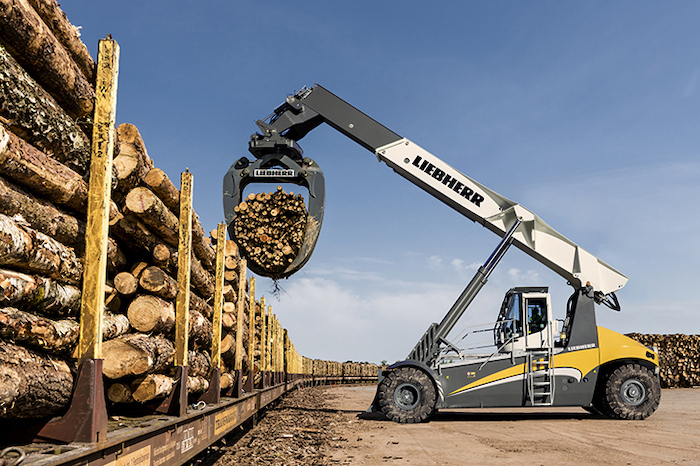 As with all Liebherr reach stackers, the log handler is equipped with a step-less, hydrostatic drive. It is characterized by its low fuel consumption and excellent driving performance. The log handler is fitted with a Liebherr Pactronic hybrid drive system as standard, which enables a temporary increase in performance without additional fuel consumption and exhaust emissions, if required. 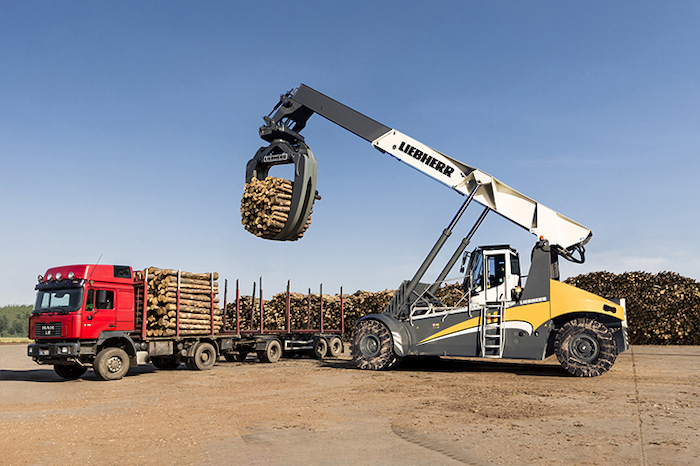 The sustainable hybrid drive reduces the Log Handler’s CO₂ emissions, as well as other harmful substances. Fuel saving is achieved through complete utilization of the regenerative energy and surplus power in the system. handling, as well as a protective structure for the driver cab.